2009 was a very successful year for ACF Consulting. We accomplished a lot of goals this year, including moving into a new office and redesigning our website. With the year coming to a close, we took some time to look back on the questions asked most frequently by our clients. We have picked one question for each our 5 areas of expertise to share. If you have a question for us, do not hesitate to contact us! Q: What is the difference between SEO and SEM? A: Both SEO and SEM are methods of improving the quality and quantity of traffic to your website by using search engines. SEO stands for search engine optimization and is the process of enhancing your website to assist its visibility to search engines such as Google, Bing and Yahoo when relevant key phrases are entered. 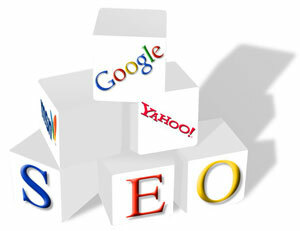 Typically, the higher ranked your website is, the more visitors it will receive. Higher rankings make your website and business more visible while appearing more reliable, trustworthy and professional. SEM, or search engine marketing, is the process of working outside of your own website to help increase traffic, interest and visibility. Placing useful content and links on websites that are relevant to your business can help expand the number of potential customers that see your business, as well as increase the relevancy of your website to search engines. Click here to learn more about websites. Q: What is the difference between web and print graphics? A: Print media and websites are vastly different platforms for communication and require various differences in the graphics that support them. First, and most important, is the resolution of the image file, resolution is measured in dots per inch(dpi). Computer monitors display images at 72dpi, therefore having images with greater resolution will unnecessarily increase the size of the image causing them to display awkwardly and increase download time. Print graphics on the other hand require a minimum of 300dpi. Using a lower resolution will cause the image to look blurry or grainy. The second major difference is the color mode that is used. Monitors use light to display images and therefore require graphics in RGB color mode (red, green and blue). The mixture of these three colors using light creates all of the colors you see each time you look at your computer screen. Print on the other hand uses ink to display images, which require graphics in CMYK color mode (cyan, magenta, yellow and black). 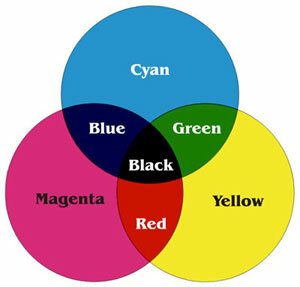 By mixing these four colors using ink any color that you need can be created. The third and final major difference is the file format. Web graphics require that all files be in either JPEG, GIF, or PNG format to display on the web. JPEG can also be used for print files assuming it meets the print criteria mentioned above. However, other file formats are more suitable for optimal print quality such as PSD (photoshop), EPS(encapsulated post script), AI(illustrator), and TIFF(tagged image file format). 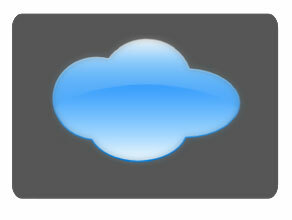 Q: What is a cloud application? A: Cloud applications are hosted on a web server and can range from email, virus protection, and computer programs essential for you to run your business. By hosting applications on a web server (or “cloud”), you eliminate the need to install applications on individual workstations. Therefore you can access the application from anywhere you have a web connection, decrease maintenance costs, as well as receive updates quickly and efficiently. Click here to learn more about Cloud Applications. A: VoIP stands for “Voice Over Internet Protocol” and is a technology that allows you to make phone calls using your broadband internet connection. Since VoIP phones run off of an internet connection, you have the ability to use your phone anywhere there is a broadband connection while retaining the same phone number. VoIP phones are just as easy to use as conventional business phone systems, with many features that improve efficiency, while significantly lowering ongoing phone system costs. VoIP provides centralized system maintenance, a single phone system across multiple locations if needed, and many other advanced features including; incoming call storage, conference calling, voice mail messages sent to email, along with easy to manage automated attendant messaging, call queues, caller id and call forwarding at no additional charge. 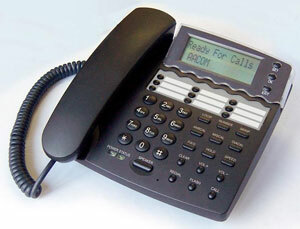 Click here to learn more about VoIP. Q: What is Hosted Exchange? A: Hosted Exchange is a cost effective solution that enables organizations of all sizes to utilize enterprise-class messaging, collaboration and group scheduling features with Hosted Exchange 2010 to share information via Microsoft Outlook. Click here to learn more about Hosted Exchange. ACF would like to wish everyone a very happy and safe new year. We have some great projects planned for 2010, so be sure to stay tuned!